Group Profiles | Federation of North-American Explorers | Semper Parati! Please read about our brothers and sisters in the Rocky Mountains! We chose Our Lady of Mount Carmel because our home parish is Our Lady of Mount Carmel in Littleton, Colorado. We have witnessed her strong and miraculous intercession in the herculean effort of building our new parish church, and we place ourselves under her protection. We gave the boys freedom to suggest colors for the group, and the two finalists were Marian colors — brown and gold for Our Lady of Mount Carmel, and navy blue and silver for Our Lady in general. 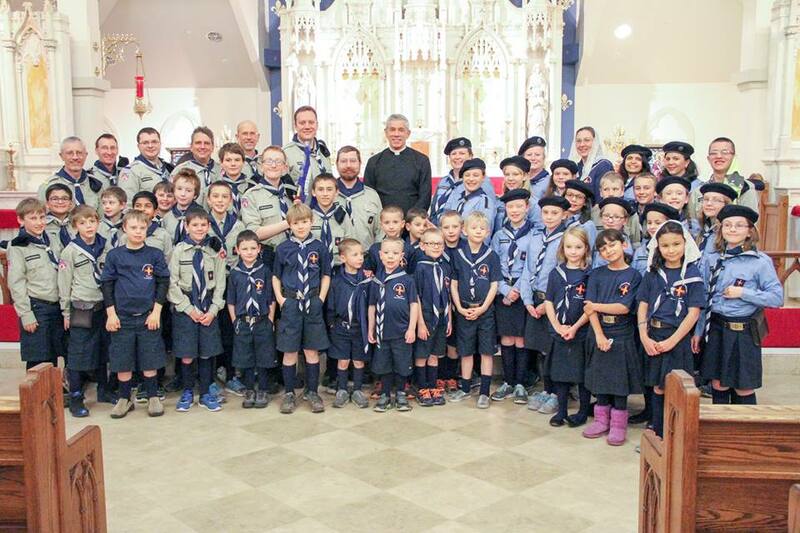 Our boys have a great love of Our Lady — one of the first decisions of their chiefs two years ago away to pray the Holy Rosary at the first troop meeting every month! We will have a full complement of sections — Timber Wolves, Explorers, Wayfarers, and Otters — for the boys, and we expect to start very soon with at least one section — an Explorer company — for the girls. 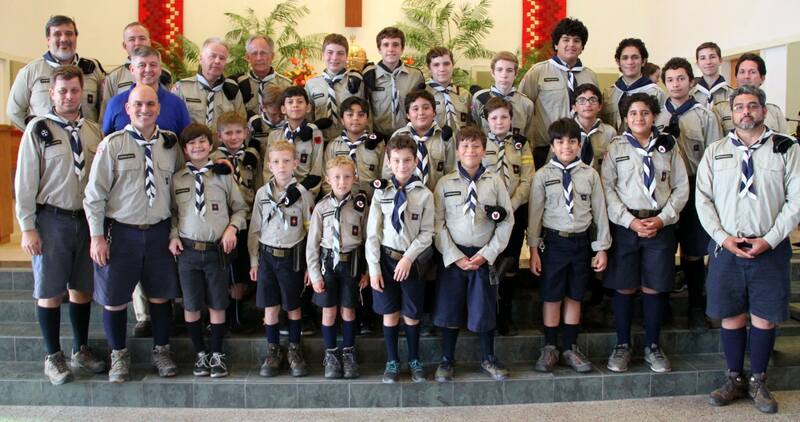 The boys’ Explorer Troop will start with two patrols, the Coyote Patrol, whose patron is Bl. Pier Giorgio Frassati; and the Mountain Lion Patrol, whose patron is St. Louis IX, King of France. I have had an abiding interest in Lord Baden-Powell’s educational method and its implementation in a Catholic context, and I’ve known about FSE and FNE for several years. Father Jackson, our pastor, has been to the Chartres pilgrimage four times, and each time he has been very impressed by the FSE youth participating in the pilgrimage. We were looking for a solid, established Catholic program for the youth of our parish and beyond (our group includes families from 10+ parishes of the Archdiocese of Denver and the local Byzantine Catholic parish). FNE and FSE have a proven track record of forming good Catholics through traditional methods, and have the materials and support to enable our leaders to bring that program to our youth. We’re very excited to be part of such an awesome organization! Please read about our brothers and sisters in the Sunshine State! Please read about our brothers and sisters in the Sooner State!